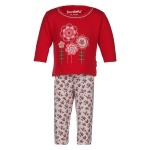 This pyjama set sports a soft textured fabric and is sure to be your girl's favourite. The t-shirt with its charming floral applique work and stitch detailing has a round neckline and long sleeves. 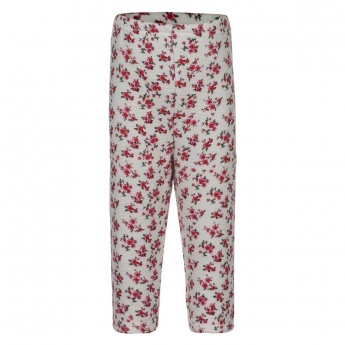 The floral printed pants have an elasticised waistband.